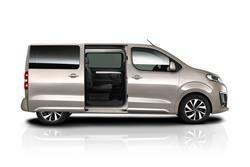 Thinking of buying a People Carrier with room for up to seven people? 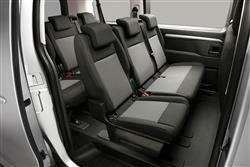 Well, what about if, for not much more, you could get yourself a smart-looking one with space for up to nine folk? 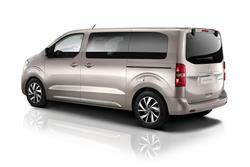 That's what's on offer from Citroen's appealing-looking SpaceTourer MPV. Citroen has never been a serious player in the super-large People Carrying MPV market, the segment that sees cars that are essentially converted medium-sized vans, models like Volkswagen's Caravelle and the Mercedes V-Class. The French brand has long offered minibus versions of its Dispatch LCV, but they've never really courted car customers. Now though, the Gallic maker has a model line that very definitively does, the SpaceTourer. It's still based on a van of course: that's necessary if the room required by customers in this segment is to be achieved. 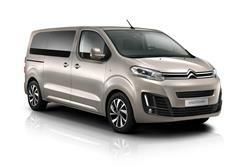 But, Citroen tells us, the Space Tourer has very definitely been developed as a car. 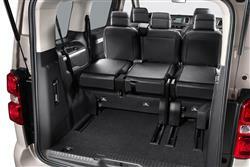 Or as a proper MPV anyway. It's based on the second generation version of the company's Dispatch LCV and it's the French manufacturer's version of a People Carrier also marketed by Peugeot (as the 'Traveller') and by Toyota (as the 'Proace Verso'). Sensibly, all the Euro6 units engines on offer in the SpaceTourer are diesels and if your needs are mainly based around lighter people carrying duties and short distance urban work, then the entry-level 95bhp 1.6-litre BlueHDi unit may well be quite sufficient: this engine's also offered with 115bhp. For heavier payloads and longer journeys however, you'll be needing the 2.0-litre BlueHDi model which gives you a lot more pulling power and is available with 150 or 180bhp, the most powerful unit mated to the brand's efficient EAT6 auto transmission. 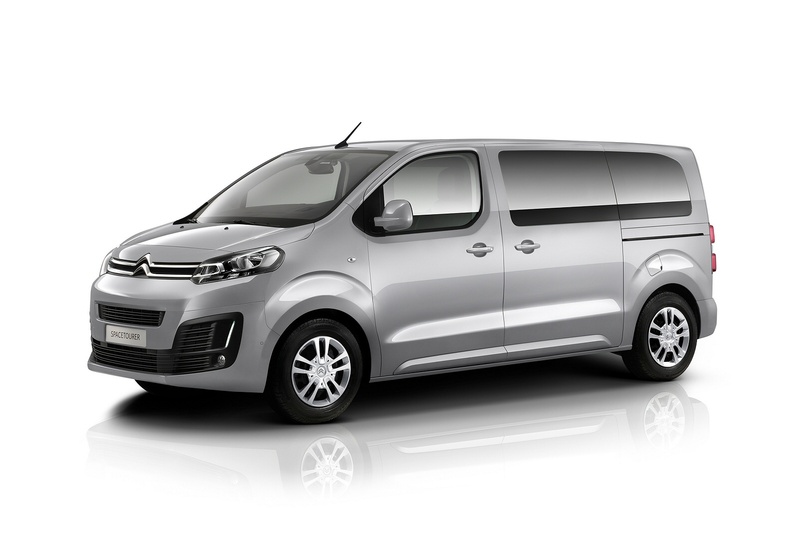 News that this Citroen MPV is based on the marque's Dispatch van may lead you to fear the worst when it comes to handling dynamics. Actually though, you should be pleasantly surprised by the dynamics on offer here, these aided by a variant of the same EMP2 platform used for Citroen's Grand C4 Picasso People Carrier. The ride should particularly impress. Special wishbone filtering is provided to dampen the impacts from our country's terrible tarmac and the variable stiffness springs and shock absorbers should deliver decent levels of comfort whether the vehicle is loaded or unloaded. 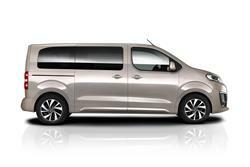 Refinement is also claimed to be surprisingly good for such a large, square MPV. As before, there's the option of a Grip Control traction system. We also like the 'Coffee Break Alert' warning system, which flashes up a dash warning after two hours of uninterrupted driving at speeds of 40mph and above. Citroen's first serious stab at the super-large MPV segment is surprisingly easy on the eye, aiming at what the brand calls 'a sense of robust assurance without appearing aggressive'. The front design consists of a short horizontally-styled bonnet with large, high-set headlights, providing a commanding view of the road. In addition, the front features a broad, protective bumper with strong black air intake grilles that contrast and accentuate the SpaceTourer's styling. 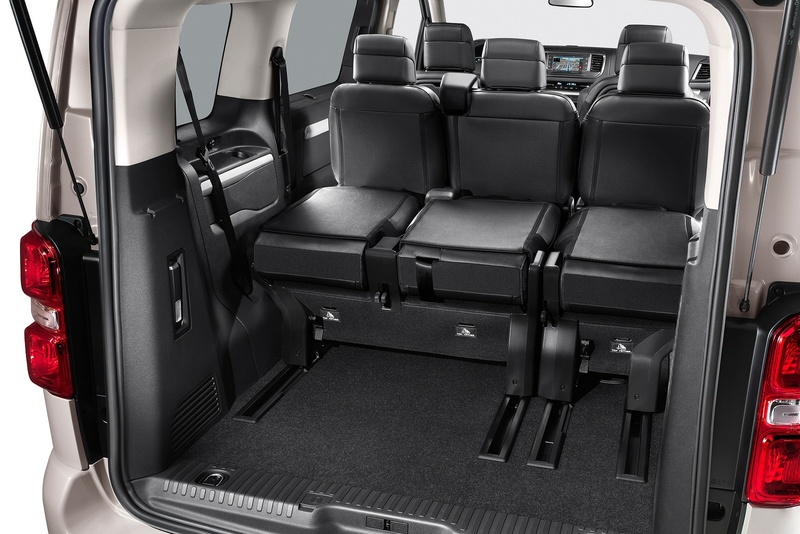 Under the skin, this MPV utilises the acclaimed 'Efficient Modular Platform 2' (EMP2) chassis, one of the things that enables this model to offer so much interior space. 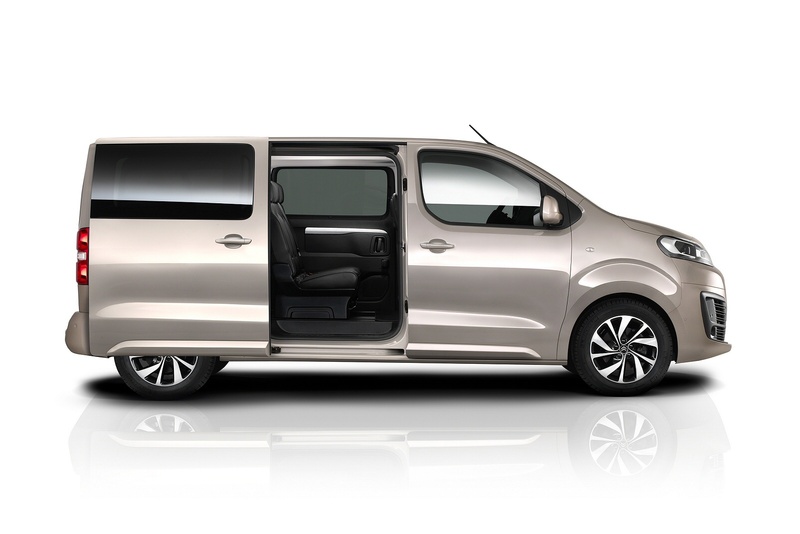 There's room for up to 9 spacious seats with 1,500 litres of boot space - or up to 4,900-litres of luggage space if you take out the removable seats. Available in three defined lengths, ranging from 4.60m to 5.30m, the SpaceTourer's height of 1.90m is low enough to guarantee entry into covered car parks - a relatively rare attribute in this segment. The 'M' and 'XL' length versions of 4.95m and 5.30m will be the variants chosen by most buyers, but even the shortest 4.60m-long 'XS' version can comfortably accommodate up to 9 people in all seats. Key selling points include hands-free access for the electrically-operated side and rear door and an opening rear window in the tailgate so small items can be more easily put inside. 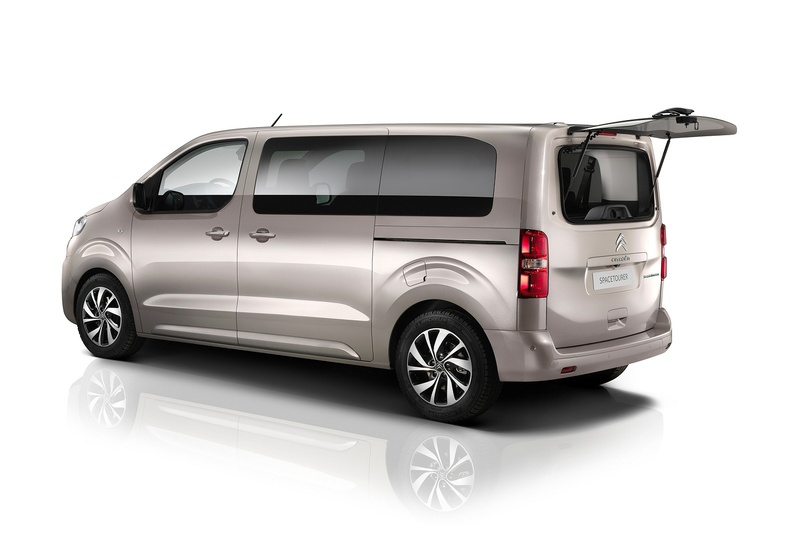 Think in terms of a £30,000-£35,000 price point for plusher versions of this Citroen SpaceTourer, once you've chosen the spec to your liking and you shouldn't be far out. The basics of specification are worth repeating here, so there's a choice of three vehicle lengths - 4.60m 'S', 4.95m 'M' and 5.30m 'XL' - all of which can be configured as 5-to 9-seaters. 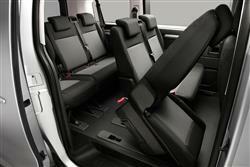 Inside, all models get a 7" infotainment touch-screen. This setup's voice recognition provides additional security for using the Navigation, Telephone and Media features without taking eyes off the road. 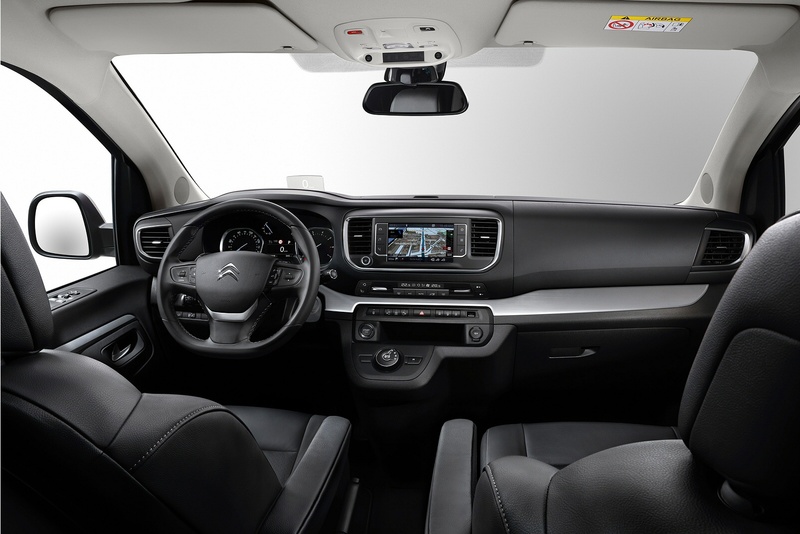 SpaceTourer buyers can also specify sophisticated 'Connect Nav' 3D navigation as part of a package that includes TomTom Traffic real-time traffic information and access to information like the location and prices of service stations and car parks, weather forecasts and local search of points of interest. There's also a MirrorScreen function so that you can use functions from your smartphone on the centre dash 7-inch screen. Latest generation electronic driving assistance devices include 'Driver Attention Alert', a 'Road sign recognition' system, a Head-up display and an 'Active Cruise Control' set-up. You could also add 'Blind Spot Monitoring' and a 'Park Assist 180' surround view camera system - both useful on a vehicle of this size. 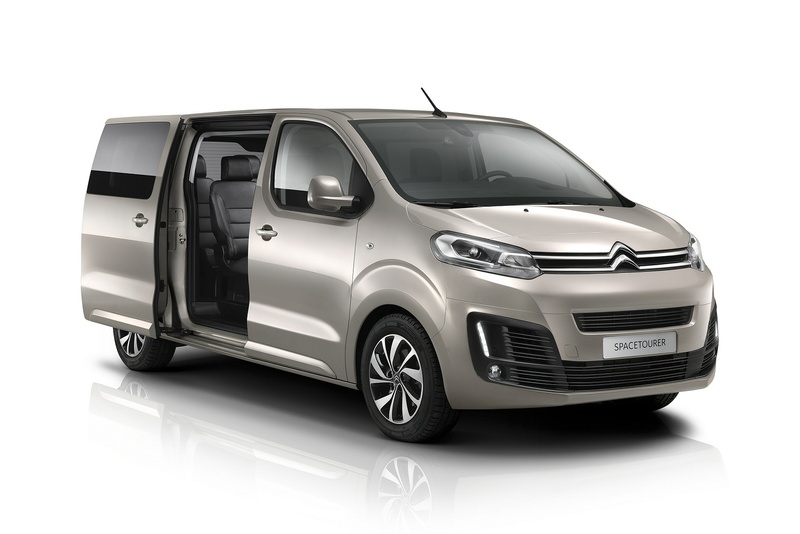 The SpaceTourer's Euro6 engines have been chosen with operating costs rather than performance in mind and this will suit businesses as well as families with a firm grip on their finances. Combined fuel economy is pegged at 51.3mpg on the combined cycle, along with 144g/km of CO2 for the 95bhp 1.6-litre BlueHDi diesel model, figures you can improve to 54.3mpg and 135g/km if you go for the same variant fitted with an ETG6 auto gearbox. We'd want a little more power and would opt for this engine in 115bhp guise, in which form you're looking at 55.3mpg and 133g/km. Go for the 2.0-litre BlueHDi 150bhp derivative and the figures are 53.2mpg and 139g/km, while even the top 2.0 BlueHDi 180bhp EAT6 auto gearbox variant returns 48.7mpg and 151g/km. If you�re looking for a new Citroen Space Tourer 1.5 BlueHDi 120 Feel XL 5dr Diesel Estate for sale, you�ve come to the right place. 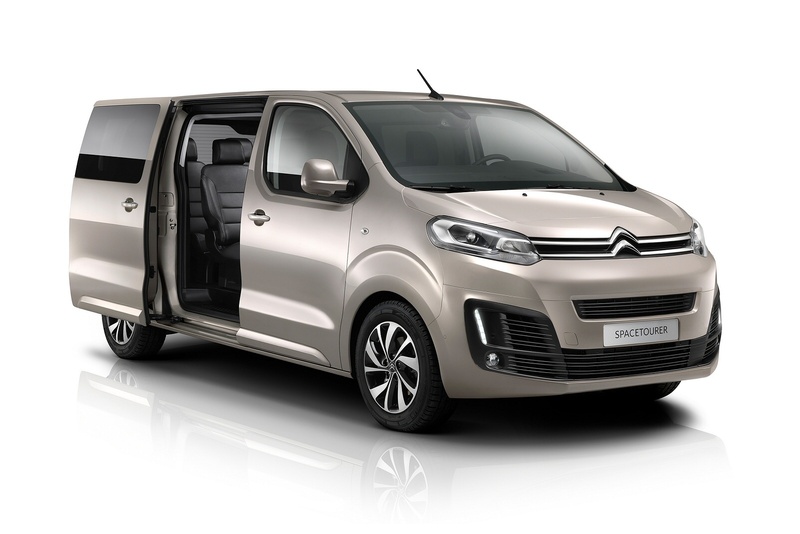 At Bristol Street Motors we don�t just have the best Citroen Space Tourer 1.5 BlueHDi 120 Feel XL 5dr Diesel Estate deals, we also offer friendly advice and help with all your enquiries to ensure your buying experience is a happy experience.